For the past 38 years, beauty specialists at FANCL have pioneered preservative-free skincare that cultivates long-lasting beauty—both inside and out. With more than 530 * patents and two state-of-the-art research and development facilities, FANCL delivers on its “less is more” philosophy with science-backed products that are completely free of preservatives. The harm caused by cosmetics and skincare products was a major social issue back in the 1970s. Preservatives were widely used to prevent skincare products from spoiling, and these preservatives and other harmful additives were causing damage to women’s skin. What’s so terrible about preservatives? Essentially, preservatives weaken the skin’s function, chipping away at healthy skin and accelerating the ageing process. Instead of glowing and youthful skin, preservative-powered products may result in irritability, affect the tightness of collagen and stimulate melanin production. 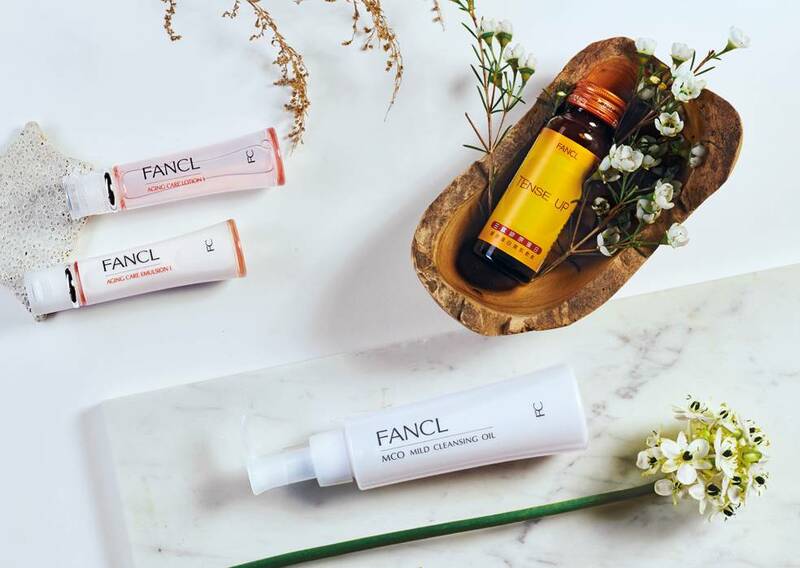 FANCL aimed to break from tradition, striving to develop safe and effective skincare products. Considerable effort was made to develop “No Preservative” skincare, opening up new horizons for the beauty industry; providing only pure ingredients to enhance the skin’s long-lasting beauty. For complete makeup removal: Utilising Nano Cleansing Technology, MCO Mild Cleansing Oil helps me remove stubborn makeup, especially after shooting, to keep my skin clean and refreshed. For preservative-free hydration: Formulated to pinpoint dehydrated cells and fill them with moisture and nutrients, FANCL Lotion and Emulsion strengthen moisture barriers deep within the skin for long-lasting beauty. For replenishing collagen from within: A fruitful result of a dedicated six years of research, Tense up is a patented Tri-peptide collagen drink that replenishes daily loss of skin collagen and helps the skin maintain its elasticity.